Promptly Speaking shows the power of prompts to inspire the imagination, test our skills, and feed us new ideas. Here are stories and poems penned by Writing at the Ledges authors, in response to various writing prompts. Enjoy our artistic works and, if you’re so inclined, try some of the provided prompts to challenge your own creativity. Emerging writers will find tips for improving content, style, editing and voice; all challenges for the beginning writer. More experienced writers may find inspiration in seeking new twists on some of the prompt suggestions. If you’re not a writer, but love to read, Promptly Speaking contains works across a variety of genres and styles–something for everyone. Enjoy our writing, and try your own! 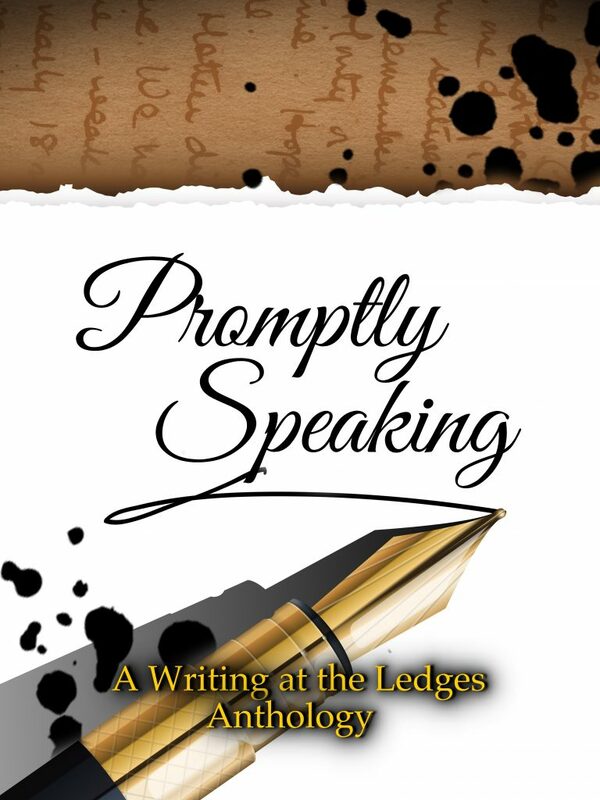 “Promptly Speaking” is an intriguing compilation of contemporary local creativity. This oversized, well-designed 276-page trade paperback, published by Jade Dragonfly Press, is the fourth anthology produced by the Writing at the Ledges group out of Grand Ledge. The three editors, Rosalie Sanara Petrouske, Loraine Hudson and Mary Fox have compiled an unusual anthology, a potent mixture of fiction, poetry, non-fiction and memoirs. It focuses on the responses by 18 members of the writers group to a variety of prompts – short phases, descriptions, events or even just a word or two. Read the complete article, click here.